Western science owes its origins to early Greek civilization. It was the Greek belief that nature is undergirded by a rational order (Logos) and is therefore inherently intelligible which laid the germinal seeds that led eventually to the development of modern science. As H.D.F. Kitto writes, “Here we meet a permanent feature of Greek thought: the universe, both the physical and the moral universe, must be not only rational, and therefore knowable, but also simple.” /1/ Hence, it is to the ancient Greeks that we owe the beginnings of mathematics, astronomy, physics and biology. On the other hand, it was common place for the Greeks to regard nature as deified. Thales famously remarked after observing how magnets move iron, “All things are full of gods.” Naturally, the Greeks refrained from interfering with the process of nature in their scientific pursuits as they tried to explain observed changes in nature in terms of movements of divine indwelling forces. In any case, there was no need for the Greeks to rely on observation, measurements and experimentation since the rational mind is capable of unlocking the essential characteristics of substance underlying nature. It seems that the Greek philosophers were trying to explain nature while shutting their eyes. The goal of Greek science was to understand the teleology (final purpose) of natural processes rather than to discover scientific laws that accurately describe patterns of natural interaction. In effect, science is turned into philosophy which bypasses empirical research. S. Sambursky elaborates, ‘The ancient Greeks believed fundamentally that the world should be understood, but that there was no need to change it… This passive attitude to the practical use of the forces of nature was reinforced by the complete ossification of the natural sciences in the Middle Ages in the condition to which Aristotle had brought them.” /2/ Not surprisingly, given their faulty methodology, Greek science ended up in stagnation for centuries. Credit should be given to Islamic civilization for innovation in engineering works like water pumps, mills, geared astronomical instruments and mechanical clocks. However, early Islamic science was caught in a bind. On the one side, the Mutazilites philosophers were subject to the same restrictions in their investigation of nature when they adopted Aristotelian science. On the other side, the majority of Muslim theologians rejected Greek natural philosophy because its teaching of secondary causation is seen to contradict the Quranic teaching of God’s direct causation of everything. Hence, the teaching of natural philosophy as a foundation for systematic investigation of nature was not institutionalized in Islamic society. /4/ As a consequence, Islamic science suffered the same stagnation as Greek science. Modern empirical science as we know today emerged only when Greek rationality and mathematics was complemented by the method of empirical testing. What were the historical and intellectual circumstances leading to this new development? inexpungable belief that every detailed occurrence can be correlated with its antecedents in a perfectly definite manner, exemplifying general principles…It must come from the medieval insistence on the rationality of God, conceived as with the personal energy of Jehovah and with the rationality of a Greek philosopher. Every detail was supervised and ordered: the search into nature could only result in the vindication of the faith in rationality. Historically, the restrictions of Aristotelian science were set aside with the ascendancy of Christian belief in a personal God who is a lawgiver and the contingency of creation (in contrast to Aristotelian eternal cosmos) which points to its transcendent source and the openness of creation to rational and empirical investigation. The atheist-evolutionist Loren Eiseley concurs with Whitehead in emphasizing the crucial role played by Christian faith in the emergence of empirical science. Bacon criticized the Greeks for indulging in premature construction of theories without adequate experimental data. “For the wit and mind of man, if it work upon matter, which is the contemplation of the creatures of God, worketh according to the stuff and is limited thereby; but if it work upon itself, as the spider worketh his web, then it is endless, and brings forth indeed cobwebs of learning, admirable for the fineness of thread and work, but of no substance or profit.” (Advancement of Learning, Book 1.5). What is required is soberness and modesty in submitting to the facts of reality. That is to say, scientific inquiry must begin with the collection of facts or so-called natural history. Only then may one then begin scientific analysis and theorizing. Equally crucial for the development of experimental science is the necessity of overcoming the Greek disdain for manual work. For ancient Greeks, the philosophers should be left to pursue their intellectual and spiritual development while manual work is left to the slaves, whom Aristotle likened to ‘animated’ tools of mechanics. Hence, it would be improper for a Greek philosopher to resort to experimentation as this would require working with methods of mechanics. In contrast, the Biblical tradition rejects the Greek prejudice against labor which has hampered the development of experimental science. Indeed, the craftsman and manual work is honored in the Bible. Adam was to “dress and to keep” the Garden of Eden. The punishment of the Fall is not labor itself so much as the fatigue of labor. More importantly, God himself created the world without any delegation of the work to intermediary angels. /2/ S. Sambursky, The Physical World of the Greeks 2ed. (Routledge KP, 1959), p. 230. /3/ Quoted in Stanley Jaki, The Road of Science and the Ways to God (Uni. Chicago Press, 1978), p.14. See also Joseph Needham, “It was not that there was no order in Nature for the Chinese, but rather it was not an order ordained by a rational being, and hence there was no conviction that rational personal beings would be able to spell out in their lesser earthly languages the divine code of laws which he had decreed aforetime.” Joseph Needham, Science and Civilization in China (Cambridge Uni. Press, 1956), vol.2, p. 581. /4/ Edward Grant, The Foundations of Science in the Middle Ages (Cambridge Uni. Press, 1996), pp. 174-186. Edward Grant writes, “Because of a fear that natural philosophy was potentially dangerous to the Muslim faith, and perhaps for other reasons as well, Islam never institutionalized natural philosophy, never made it a regular part of the educational process. Thus natural philosophy did not become part of an overall approach to nature, not even for use in determining the structure and operations of nature for the greater glory of God. It is unlikely that most Islamic thinkers thought that God’s handiwork was fathomable, although, occasionally, someone like Averroes would argue that the Koran mandated that a good Muslim study nature… The absence of an institutional base for science and natural philosophy is perhaps the most important reason why these disciplines did not become permanently rooted in Islamic society. The open hostility, or in many cases simply the lack of enthusiasm, of Islamic theologians and religious authorities provides at least one major reason why an institutional base comparable to the universities in the West failed to develop” (pp. 184, 185). /5/ Stanley Jaki, The Savior of Science (Eerdmans, 2000), p. 36-37. /6/ Alfred Whitehead, Science in the Modern World (McMillan, 1925), p. 19. /7/ Loren Eiseley, Darwin’s Century (Victor Gollacz,1959), p. 62. See also M.B. Foster, “Creation, Doctrine and Modern Science” Mind (1934), p. 465. Indeed, the seeds of modern empirical science has already begun much earlier under of auspices of monastic learning. James Hanaam in his ground-breaking book in the history of science point out that “Popular opinion, journalistic cliché and misinformed historians notwithstanding, recent research has shown that the Middle Ages were a period of enormous advances in science, technology and culture. The compass, paper, printing, stirrups and gunpowder all appeared in Western Europe between AD 500 and AD 1500.” We may add the mechanical clock, the windmill, blast furnace and lenses to the list. See, James Hannam, God’s Philosophers: How the Medieval World Laid the Foundations of Modern Science (Icon Books, 2009), p. 5. /8/ Quoted in Paolo Rossi, Francis Bacon: From Magic to Science (Routledge, 2008), p. 129. /9/ Stanley Jaki, Road of Science, pp. 88-89, 331. /10/ R. Hooykaas, Religion and the Rise of Modern Science (Eerdmans, 1972), pp. 29-30. /11/ J.B. Stump, Science and Christianity (Blackwell, 2017), pp. 23-24. /12/ Rodney Stark, For the Glory of God: How monotheism led to reformations, science, witch-hunts and the end of slavery, (Princeton UP, 2003), p. 376. Subsequent developments of modern science alert us to the danger of reductionism when scientists not only abandon teleology (final causality) but reject God the creator as the foundation of our knowledge of the physical world – Formal mathematical descriptions of space and time acquire the ultimate status of metaphysical reality (note the frenzied discussions of multiverse which is based purely on some mathematical equations rather than on a particular discovery of the world). God’s nature and presence is subsumed to the greater order of mathematical harmony of the universe. The final result is ultimate skepticism. As Edwin Burtt wrote with prophetic insight, “It was by no means an accident, that Hume and Kant, the first pair who really banished God from metaphysical philosophy, likewise destroyed by a sceptical critique the current overweening faith in the metaphysical competence of reason. They perceived that the Newtonian world without God must be a world in which the reach and certainty of knowledge is decidedly and closely limited, if indeed the very existence of knowledge at all is possible.” [E.A. Burtt, The Metaphysical Foundations of Modern Science (Dover 1932/2003), p. 301] This kind of reductio ad absurdum of science and physical reality to nothing but mathematics and motion must surely be the ultimate skepticism and human hubris. Perhaps, we will address this topic in due time. Meanwhile, Stanley Jaki has given us a most profound analysis of the protean journey of modern science in his Gifford Lectures which is published as The Road of Science and the Ways to God (Uni. Chicago Press, 1978). Richard Dewitt, Worldviews: An Introduction to the History and Philosophy of Science. Blackwell, 2004. J.B. Stump, Science and Christianity: An Introduction to Issues. Blackwell, 2017. R. Hooykaas, Religion and the Rise of Modern Science. Eerdmans, 1972. Stanley Jaki. The Road of Science and the Ways to God. Uni. Chicago, 1978. 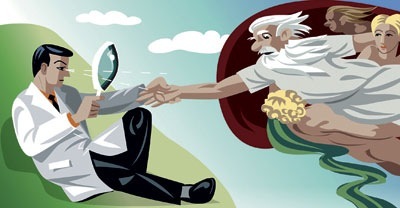 Noah Efron, “Myth 9: That Christianity Gave Birth to Modern Science” in Ronald Numbers ed., Galileo Goes to Jail and Other Myths About Science and Religion. Harvard Uni. Press 2009. Toby Huff. The Rise of Early Modern Science. Uni. Cambridge, 2003. Stephen Gaukroger. The Emergence of a Scientific Culture. Science and the Shaping of Modernity 1210-1685. Oxford Uni. Press, 2006. Part 3: The Scope and Limits of Science. Part 4: Book Review: John Horgan, The End of Science. Basic Books, 2015.